The model used for the crash sequence cost $250,000 and was so perfectly built it actually flew further than the crew and testing had predicted. In fact it flew so far it hit the camera filming it and broke the cameraman's leg. Miranda Otto's character was not in the original version of the film. The rights to produce this movie were acquired in a deal that originally also included adaptation rights to V for Vendetta (2005), also authored by Alan Moore. "Vendetta"-producer Joel Silver was also going to produce this one when Terry Gilliam was still attached as a director. Carla Gugino and Malin Akerman play mother and daughter in this film. They have both also played love interests of Ben Stiller. Gugino played Rebecca Hutman in Night at the Museum (2006) and Akerman played Lila in The Heartbreak Kid (2007). At one point, Jennifer Aniston was shooting "Friends" (1994), Bruce Almighty (2003) and this movie at the same time. Reuben (Ben Stiller) writes a list to compare Polly (Jennifer Aniston) against Lisa (Debra Messing). This is found by Polly and leads to an argument. This is similar to Season 2 of "Friends" (1994) when Rachel (Aniston) is compared to Ross's (David Schwimmer) current girlfriend. According to an interview, Jennifer Aniston stated that the reasons she worked on this film was both to work with her friend Ben Stiller and to dance the salsa. Johnny Depp asked for golden teeth to be put into his mouth to give more realism to his character. The actors/musicians that play Cesar's family are members of the Romanian music group Taraf de Haidouks. The racehorse scene uses stock footage taken from Seabiscuit (2003). In preparation for his role, Ralph Fiennes observed a blind man's average day with help from the Royal Society for the Blind. During the shoot he would wear special glasses to simulate blindness before each take. The Countess' (Natasha Richardson) family included her real-life mother Vanessa Redgrave and aunt Lynn Redgrave. This is the second film in which sisters Vanessa Redgrave and Lynn Redgrave both appear. Produced concurrently with Tonari no Totoro (1988). Many of the animators had trouble remembering what film they were animating. This is the first film ever to be shot inside the United Nations Headquarters - locations include the General Assembly and the Security Council, as well as regular corridors and hallways of the complex. The cast and crew filmed on weekends in order not to disrupt the regular work week of the Organization. Director Sydney Pollack met with Kofi Annan to try to get permission to film inside the U.N. in New York. Nicole Kidman signed on without having read any script. Sydney Pollack approached Naomi Watts about the lead role of Sylvia Broome, but she declined, knowing that her good friend Nicole Kidman wanted to play that part. 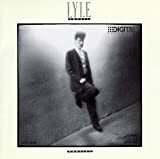 The song Toban plays on the jukebox when he calls his answering machine is Lyle Lovett's "If I Had a Boat". Matobo is the name of a National Park in Zimbabwe. The fictional language of Ku is made up of two different African Languages. The movie is banned in Zimbabwe, the country on which the fictional D. R. of Matobo was based on. The last film feature directed by Sydney Pollack. The film's working title was "La Bella Confusione", i.e. "The Beautiful Confusion". Was the basis for the Broadway Musical "Nine", which won the Tony for best musical in 1982 and for best musical revival in 2003. Samuel L. Jackson turn down the offer to play as Corporal Hector Negron to work on Lakeview Terrace (2008). Ralph, the Jonathan Winters' character, tells a long story concerning an English pirate who founded the country of Parador, to explain why Alphonse Simms has an Anglo-Saxon surname. The real reason is that the film was shot in Brazil, and director Paul Mazursky needed a shot of a crowd of Brazilian extras chanting the dictator's name. When the crowd is calling out "Simms! Simms! ", they are actually chanting "Sim! Sim!". "Sim" is "yes" in Portuguese, the language of Brazil. Tom Hanks was the first choice to play Josh Baskin but was unavailable due to scheduling conflicts with the films Dragnet (1987) and Punchline (1988). Robert De Niro was then offered the lead role, and was rejected because his salary demand ($6 million) was too high. Tom Hanks then became available and accepted the lead role for $2 million. David Moscow was originally cast not as young Josh, but as Billy, since he didn't look like Robert De Niro. When Tom Hanks was given the role, David Moscow was recast as young Josh. David Moscow wore colored contact lenses to match the eye color of Tom Hanks. The script was first developed in 1984. To give star Tom Hanks an idea of how a 12 year-old would behave, director Penny Marshall filmed each "grown-up" scene with David Moscow (Young Josh) playing Tom Hanks's part, who then copied David Moscow's behavior. Steve Carell's feature film debut. Bill Murray turned down the role Bill Dancer because he was busy with other projects. As of 2009 this is the last film directed by John Hughes. Matt Damon was originally cast as Dan White, but had to back out due to scheduling conflicts with Green Zone (2009). Thousands of people agreed to take part in the film as extras for free. During the filming of the scene in which Dan White's son Charles is christened, the real Charles White was on the set. Swoosie Kurtz also appeared in Dangerous Liaisons (1988) which, like this film, is based on the Choderlos de Laclos novel "Les liaisons dangereuses". Toward the end of the film when Kathryn tells Ronald that Sebastian had hit her, the actual scene of Sebastian striking her was filmed, but it was deleted afterwards because the dialogue from Sebastian during this part didn't fit his character. Sebastian sitting in a wheelchair by the pool and listening to Ludwig van Beethoven's 9th Symphony is a reference to Stanley Kubrick's A Clockwork Orange (1971). 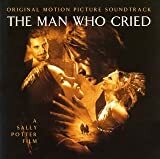 In the end of the movie the old man in a wheelchair (Mr. Alexander), whose wife Alex and his droogs raped, is torturing Alex by playing the 9th Symphony as Alex is upstairs locked up in a room. The scene in which Annette slaps Sebastian was also unscripted. Reese Witherspoon and Ryan Phillippe were so into their scene that she slapped him unexpectedly, and Phillippe's reaction is genuine. He was so into the scene that right after the director said cut, he went behind the set and threw up. The director left the scene in the final cut. The film was originally going to be directed by Rob Reiner, who dropped out during pre-production for unknown reasons. The film's writer, James C. Strouse, then took over directorial duties.